May the 4th be with you…. 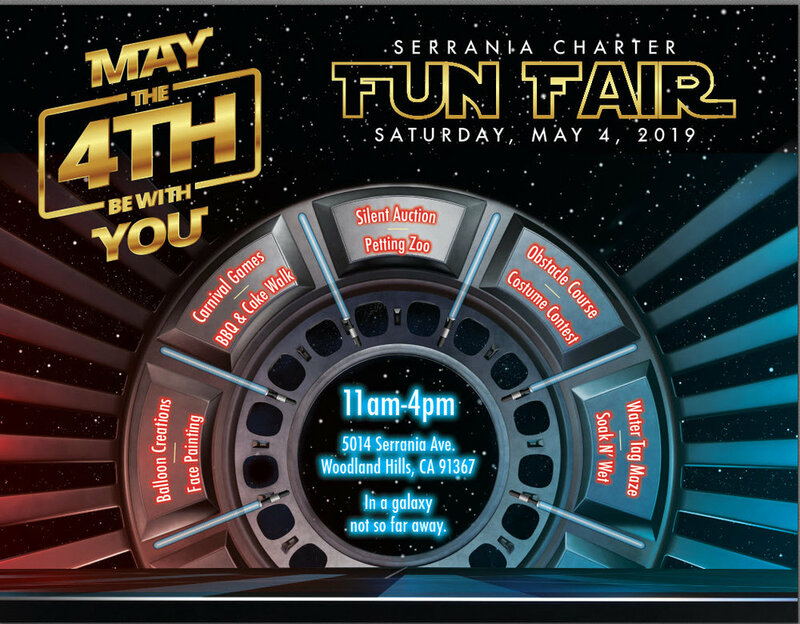 Join us for our annual Serrania Charter Fun Fair on Saturday, May 4, 2019 from 11am - 4pm. There will be a Silent Auction, Carnival Games, Petting Zoo, Costume Contest, Balloon Creations, Face Painting, Carnival Games, BBQ & Cake Walk, Obstacle Course, Water Tag Maze, Soak N Wet and More!